There are tons of things to do when visiting a new place, but one of my favourites, is to check out the local markets. There’s just something about them that keeps me coming back time and time again. The element of surprise perhaps. You never really go to a market with something in mind, you just go to see what there is. Most of the time I end up buying just food, but every now and again I’ll find something completely new that I must have, and it ends up coming home with me. Even if there are several different markets in the same town over a few days, I’d most likely visit them all! The atmosphere of a market is just palpable! Sometimes, though, while visiting some of these markets, we can’t help but wonder, are they really local? Most of the time, they are recommended by fellow travellers, or the result of a quick Google search – which usually means they’ll be plenty of tourists/foreigners there, and unfortunately, prices will be higher, and there is less authenticity. So, finding a truly local market sometimes takes some effort, especially in a place like Thailand. I’ve visited a lot of markets in Thailand, and there’s no particular place for the best ones – at least not in my opinion – each place is unique and spectacular in its own way, and offers something new that you don’t find at other markets. 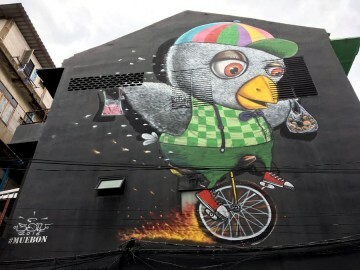 However, there are a few I like to visit in Bangkok that not many people know about – other than locals that is. These places are usually a bit out the way, and offer a few things that you don’t really see at the bigger markets. Best of all, they are all super cheap as they come with a proper locals’ price tag! 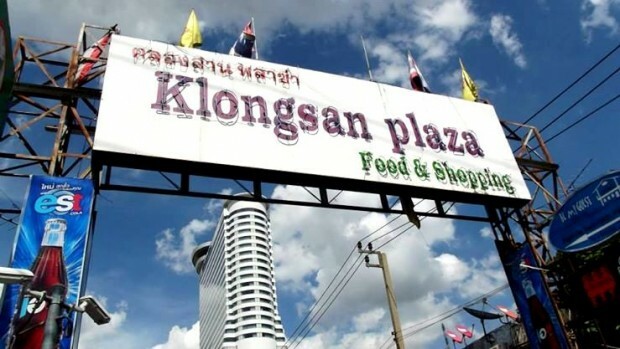 Klong San Plaza is located in Thonburi, along the street leading from Klong San Pier. Here you will find mostly clothes such as t-shirts, dresses, jeans, shirts, jewellery and accessories, all with a Thai price tag. Not many tourists know about this place, so don’t be put off if you get a few surprised faces staring at you! There are a few stalls here offering knock-off designer clothes such as t-shirts and even trainers, the same quality that you’d find at other markets in the city, but for a lot cheaper. One thing I particularly like about this place is that there is a lot a food available, with plenty of choices whatever time the day, as the market opens around 7am everyday and doesn’t start packing up until about 10pm. There’s not a whole lot of choice here, so don’t expect to spend more than a couple of hours here. It’s usually nice for an evening stroll, before picking up something to eat and heading into the city centre. For a real authentic Thai market, you need to visit Klong Suan Roi Pee – which means ‘100 years’ in Thai. Located just outside of Bangkok, about 20km away from Suvarnabhumi airport on one side of the Prawet Burirom Klong (canal), this place is more of a museum rather than a market! It is described as ‘An Amazing Riverside Market Frozen in Time’ – and it is exactly that! 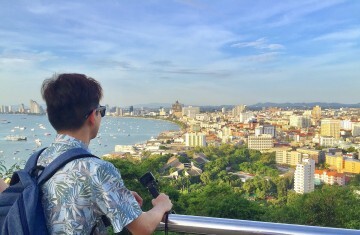 Because of its remote location, you will be hard pressed to see even one foreigner here; however, it’s becoming more and more popular with the new generation of Thais to rediscover, so it’s a good place to meet young, local Thais who enjoy driving out of town to enjoy some fun, cute and nostalgic stuff. This place has hundreds of stalls offering everything from food, old fashioned wooden crafts, art, toys, household products and plenty more. It’s packed with restaurants and food stalls so you can enjoy a nice lunch in between shopping. It’s a real step back in time, and an absolute hidden gem that you must visit! 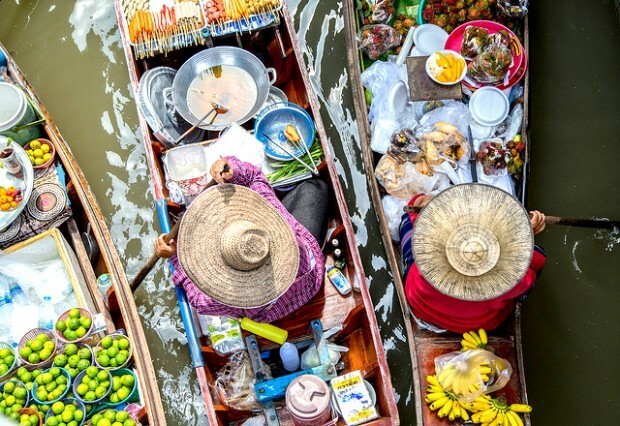 There are plenty of floating markets to visit in Bangkok, and a few that are more popular than Taling Chan, but that’s exactly why this is a great place to visit. 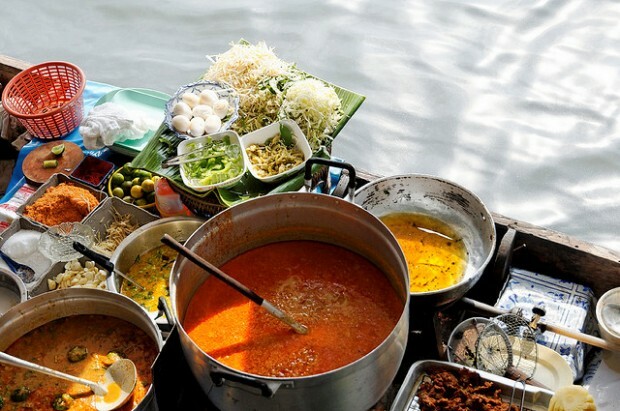 It’s located only a few kilometres outside of Bangkok, so it’s not hard to get to – just take the BTS to Wongwian Yai, then a short taxi ride for about 150 baht – but it’s still far enough away that it doesn’t attract a lot of tourists, like some of the other floating markets. Unfortunately it’s because of this local feel that it’s starting to attract more and more tourists, so you have to be quick if you want to enjoy the whole authenticity of it! 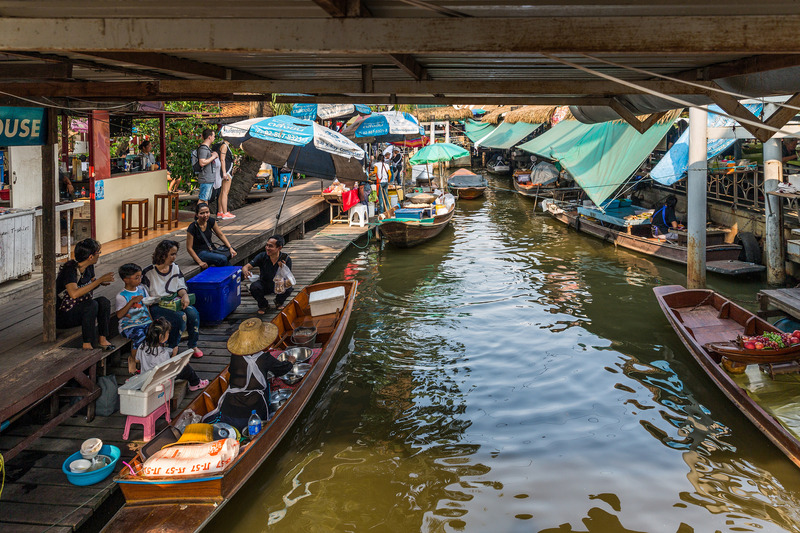 Here you can take a longtail boat down the klong for 100 baht, whilst enjoying everything the market has to offer. You can enjoy some amazing seafood with the locals, and do a bit of shopping. It’s great for clothes and souvenirs for friends and family back home and also has a whole lot of fresh fruit and vegetables on offer. It’s great for some pictures without all the crowds, but as I said it’s starting to attract more and more tourists, so I imagine it won’t stay this way for much longer! 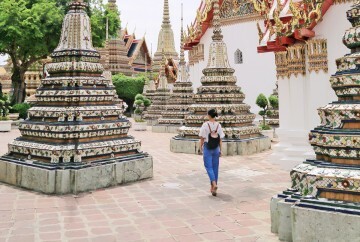 If you’ve loved reading about these unknown markets in Bangkok, you may also want to check out these Insanely Thrilling Things to do in Bangkok or Must-Visit Theme/Water Parks in Bangkok! 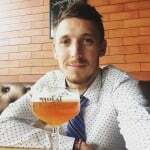 Jay is originally from the UK, but is currently living and working in Thailand. He is an English Teacher at a local school in Phuket. In his spare time he studies the Thai language, and also enjoys writing blog posts and articles. His main passion is travelling; he has visited more than 20 countries so far, and hoping to tick a few more of the list in the near future.